Cottage on Fox Hollow: Have You Read This Book? 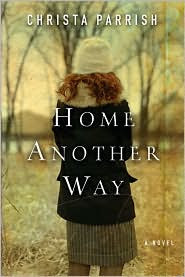 Home Another Way by Christa Parrish is soon to be released from Bethany House Publishers. If you have read it, let me know what you think. If you haven't read it, pop on over to Rachel's blog, A Hippy Chick, and sign up for her give-a-way of this book! All you have to do is leave a comment for her! Join in the fun, folks!